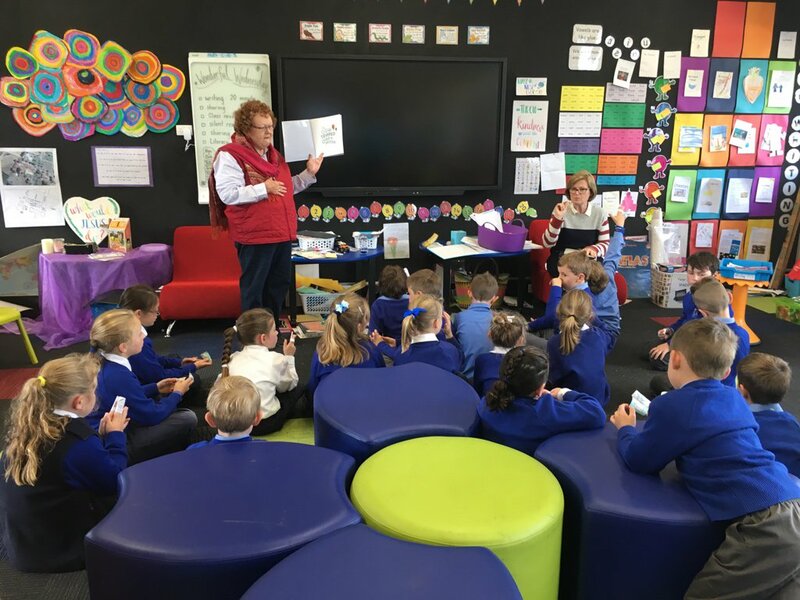 Reading Hickory with Watts Street Children’s Centre in Box Hill, part of the ECMS centres. 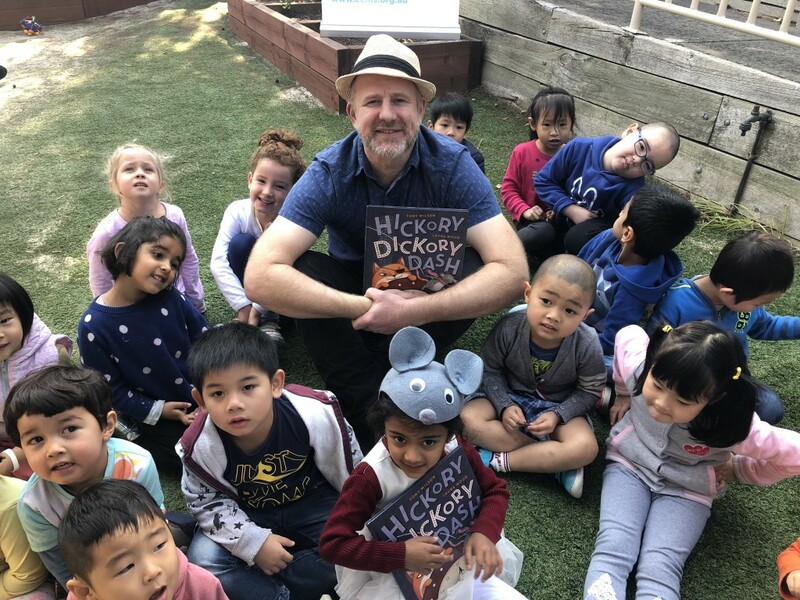 I’ll be reading at the Royal Children’s Hospital at 11am tomorrow, and thinking of people spread far and wide across Australia, and for the first time, New Zealand, all engaging with our book and connecting with the age old ritual of sitting down together to share a story. The RCH is a place I’m well acquainted with, as my seven year old son Jack has cerebral palsy, and is an outpatient with the Rehab team there. My read will go live on the RCH’s facebook page and on ALIA’s facebook page from 10.55am AEST. 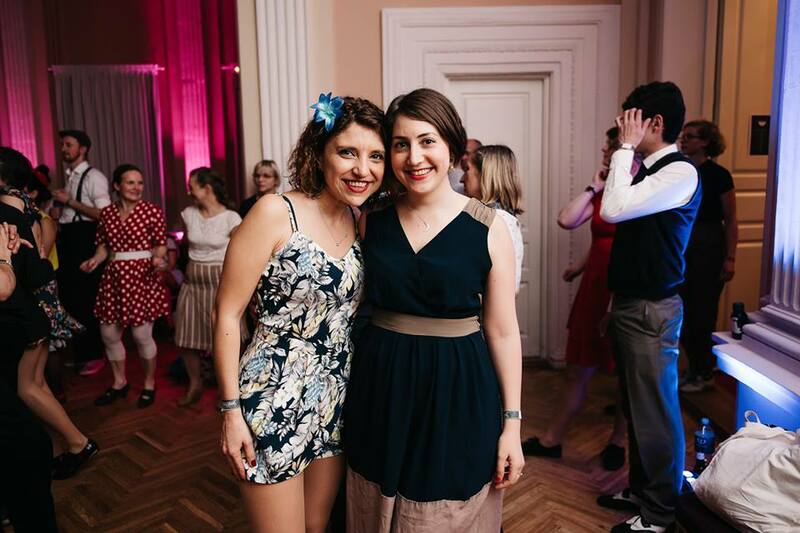 Hickory’s illustrator Laura Wood won’t be there, as she continues her nomadic swing-dancing tour of Europe. She really does swing dance! 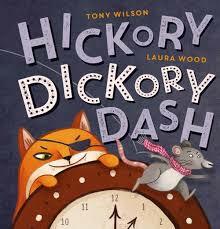 We’ve never actually met, having collaborated remotely on both Hickory Dickory Dash and The Cow Tripped Over the Moon. But we’re friends on facebook, and I love seeing her dancing photos. It’s been an exciting buildup. I had a book dual with Dave Hughes, who’s book is also nominated for the Koala and YABBA Awards (vote for us kids!) 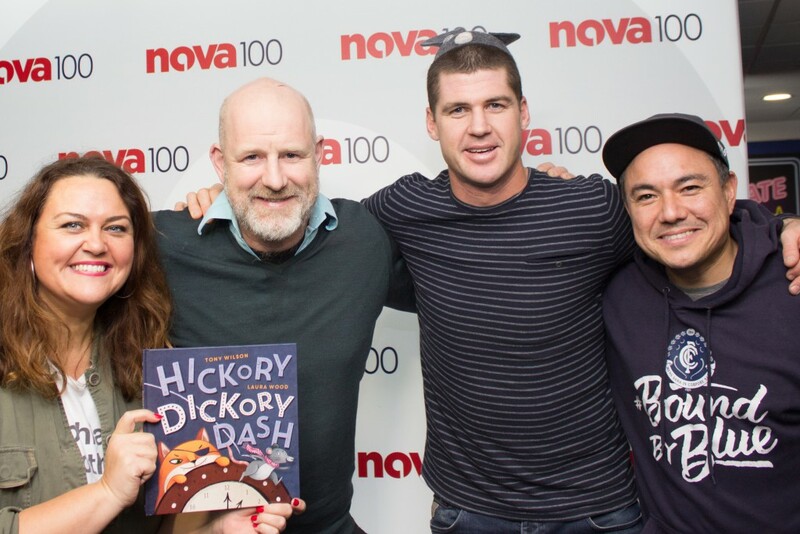 chatted to Jules Schiller on ABC Adelaide, Rochelle Hunt in Melbourne, Sally Rippin and the Triple R Grapevine team on Sally’s monthly ‘Reading Room’, and even did a little spot on Channel 7’s, The Daily Edition, with focused on the back story to Hickory. 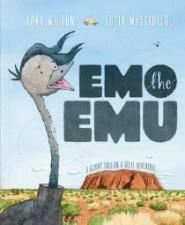 You can purchase a copy of Hickory Dickory Dash, The Cow Tripped Over the Moon, or Emo the Emu. 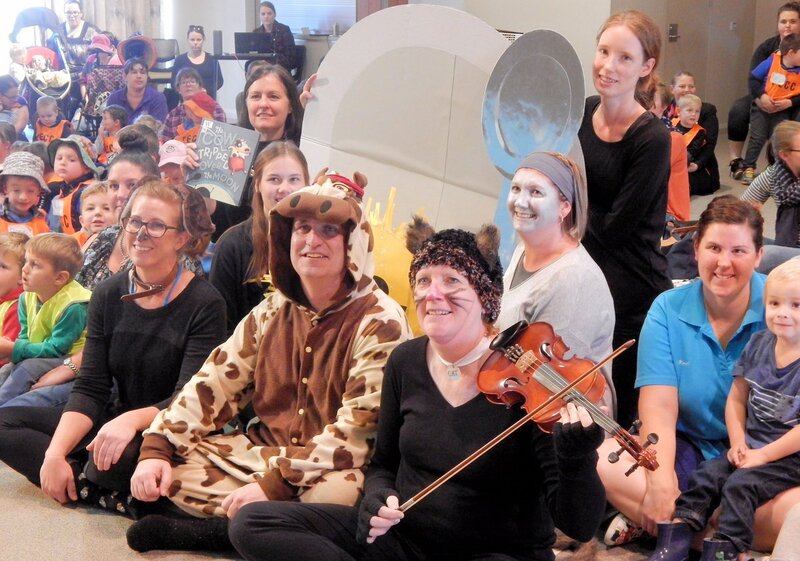 It’s all a lot of fun, and I feel honoured to be an ambassador for children’s literature on this important day. Thank you ALIA, thank you Scholastic. And thank you to my family and especially our youngest, Alice. The book is dedicated to her. As she says herself, ‘that MY book’. Hickory is a sequel, or as I sometimes like to call it, ‘a squeakuel’. I’d like to say I invented this joke, but must come clean and admit that it’s the geniuses over at the Chipmunks movie franchise who got there first. 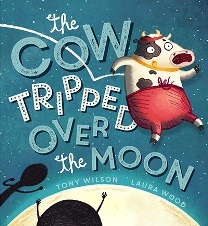 The first in the series was last year’s NSS title, The Cow Tripped Over the Moon, and when it went so well, I tried to think of another nursery rhyme I could backstory, and Laura could illustrate. 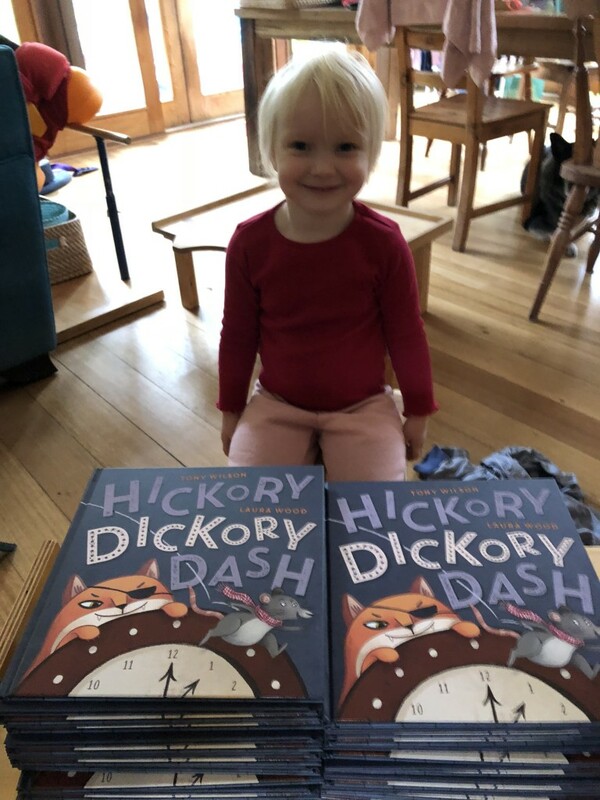 Hickory was actually a natural fit, because I loved doing the time codes in Cow for the countdown to the big event, and Hickory Dickory Dock has a natural timecode built into the story. The nursery rhyme tells me the ending of the story, it has to climax with a mouse running up a clock. I just have to build up to that, and in the end I went for a mother mouse, looking for her two lost mouse children, while an eye patch wearing cat is out and about, making it a nervous room by room search. 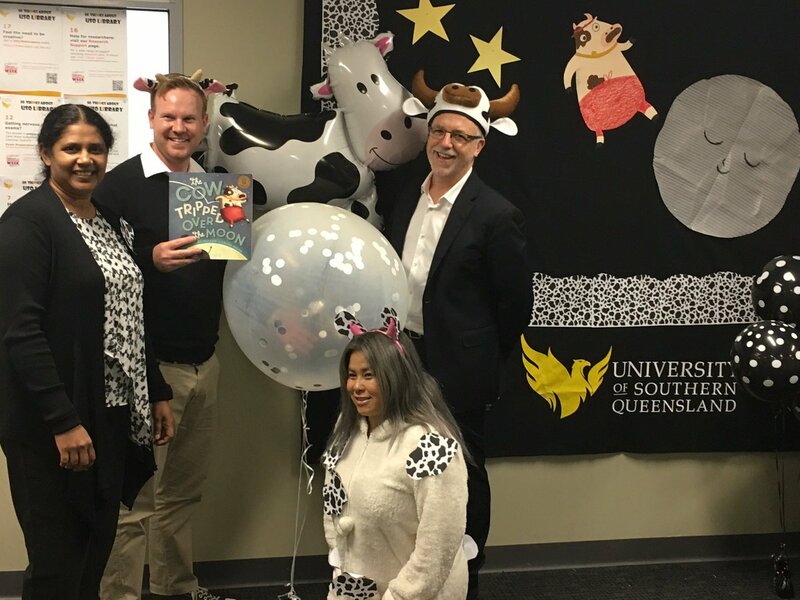 It’s Owl Babies (separation anxiety), meets Possum in the House (room by room tour), meets Tom and Jerry (cat and mouse hijinks) meets The Cow Tripped Over the Moon (nursery rhyme backstory). 2 – Why is storytelling important to you? Stories are essential to humanity, at least as we’ve evolved so far. The formats and methods change, but since forever, and forevermore, someone will be sitting down with someone and saying … ‘you’re not going to believe this’. That’s my job as an author, to create stories that unfold in interesting or original ways and inspire people to ask … what happened next? It’s built into us as people, and so if it’s done well, it taps into an essential need. I’ve always been a reader, I love that format of storytelling, and so it’s a great privilege to write some books that people read. Something like NSS honours the reading ritual, the great literacy project that we as a society need to be fostering, and so being the face of this campaign has been an amazing thrill. 3 – How will you be joining in on Wednesday May 23? I’ll be at the Royal Children’s Hospital in Melbourne. Scholastic Australia have a book bunker there, and the live feed will be shown to kids in hospitals around the country. It’s a particularly special location for our family as my son jack, who has cerebral palsy, is an outpatient at the RCH. Please tag your photos and videos #NSS2018. 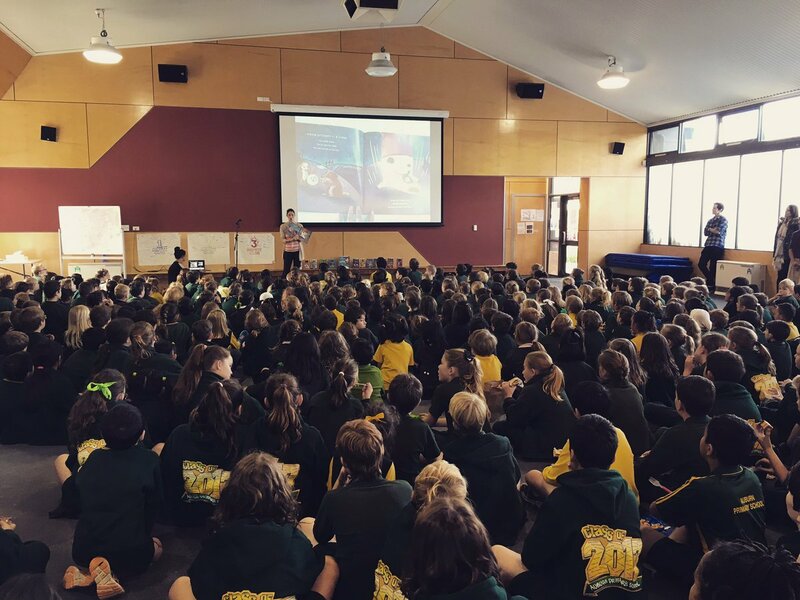 I would so love to see how National Simultaneous Storytime looks in your part of Australia or New Zealand. Here is the awesome AUSLAN read of Hickory, that went out to all registered participants. Here are some pictures from last year.